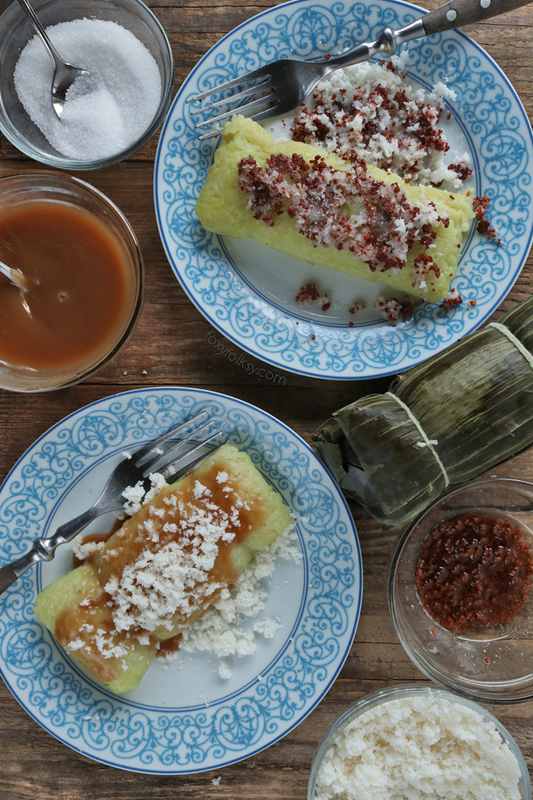 Making Suman sa Lihiya is actually easier than you think. 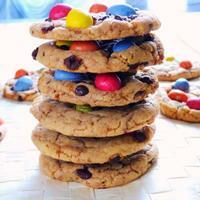 The hardest part is perhaps deciding which topping to enjoy it with. 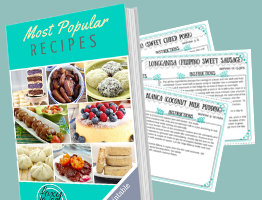 Get the recipe here now! 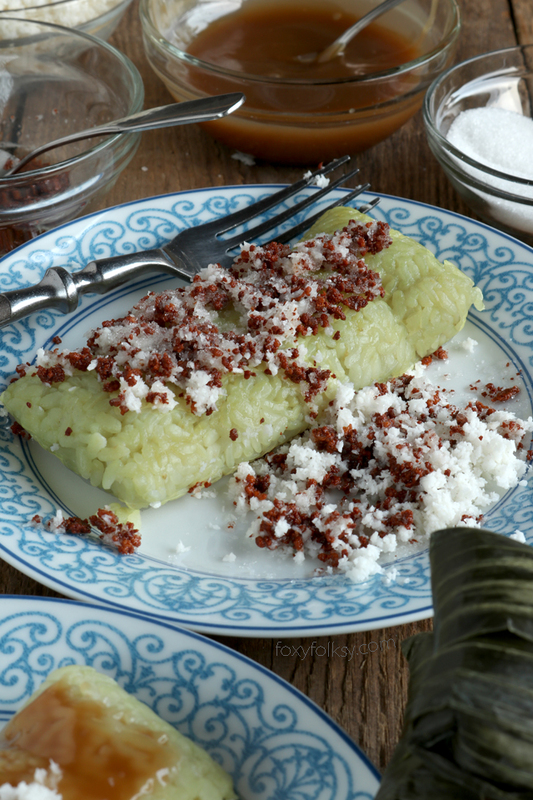 Suman sa Lihiya or Suman Bulagta is a Filipino delicacy of glutinous rice mixed with a bit of lye water, wrap in banana leaves and then boiled in water. I grew up eating it either for breakfast or afternoon snack. 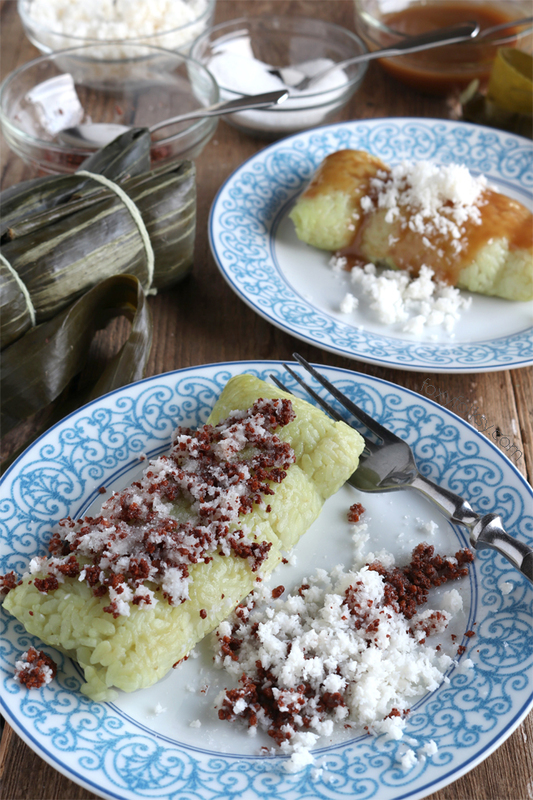 In Pampanga, and mostly the northern part of the Philippines, we usually top it with a mix of ‘Latik’, freshly grated coconut and sugar. Latik is actually the byproduct of making coconut oil. It is the solids that form when coconut milk is cooked on low heat for some time. In other places, especially in the Visayan region, they have a different kind of Latik, which is syrupy caramelized coconut cream. 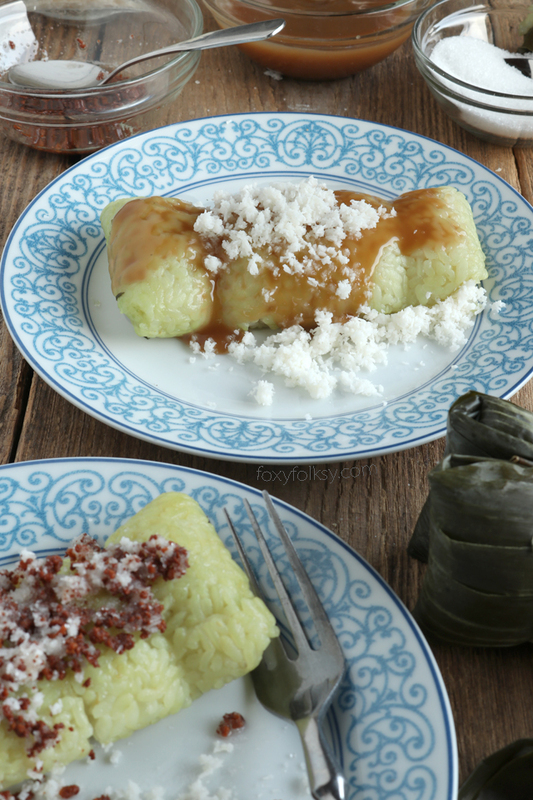 Since I cannot make up my mind which topping to present my Suman sa Lihiya with, I thought I will just make both. I liked them both ways, but, to be honest, my favorite is still the one I grew up eating. Armin, on the other hand, liked the Latik sauce or coconut caramel sauce better. Well, to each their own, I would say! By the way, for those who cannot get hold of freshly grated coconut, you can easily use desiccated coconut as an alternative. Read and learn more about it from my Pichi Pichi Recipe. Wash the glutinous rice and drain the water. Repeat several times until water turns almost clear. Transfer the washed rice into a bowl and add 2 cups of water. Cover the bowl and let it sit overnight. Place the rice in a strainer to remove excess water. Let it drain until it no longer drips. Transfer rice in a glass or plastic bowl. Add the lye water and mix thoroughly. The rice will turn yellow in color but that is normal. Let it sit for an hour. Meanwhile, prepare the banana leaves. Cut the banana leaves at least 12 inches long each. Cut off the central ribs of the leaves. Wash them with water and pat dry. Heat each leaf by running it real quick on top of your stove with the heat/fire on. This will make the banana leaves more pliable. 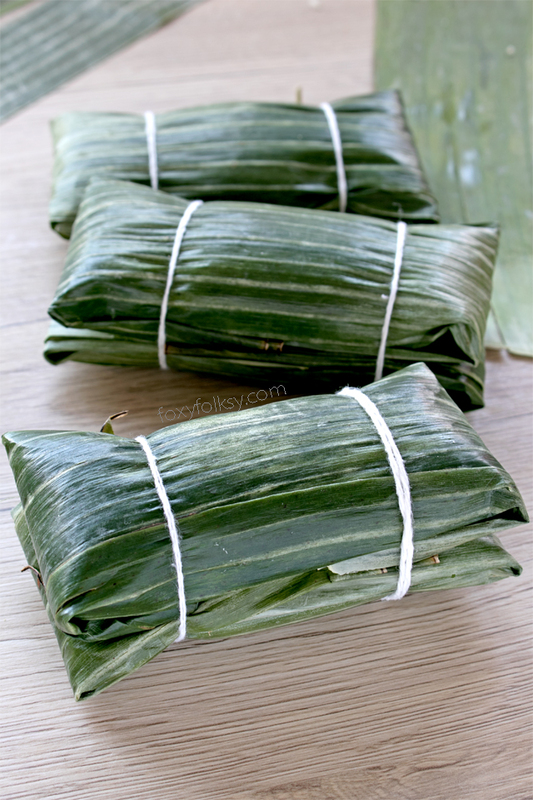 Scoop about 2 spoonfuls of the rice and place it on top of the leaf at the center, Fold the leaf in half. From the end where the rice is, fold it again this time only about 2 inches thick towards the center and then one more to close. Now, fold about 1/4 of one of the end openings towards the middle. With the closed end facing down, tap it a few times to pack in the rice. Add more rice thru the top opening if needed but remember to leave some space as the rice will still expand while cooking. Now, fold the top end towards the center to completely close it. Make another of the same size. Pair them together with the folded openings facing each other. Bind them together at both ends with a cotton string. Place the assembled pairs in a big pot and add enough water to cover them. Cover the pot and bring to boil at high heat. Once it starts to boil, lower heat to medium-low and let it simmer for about 45 minutes. 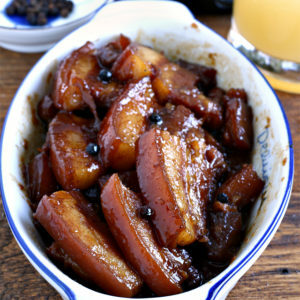 Serve warm or cold with latik sauce or a combination of latik and white sugar. TO MAKE LATIK: In a saucepan, add the coconut milk/cream and bring to a simmer uncovered over medium heat. Let it cook, stirring from time to time, until it is reduced to a thick cream. 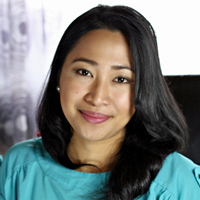 Lower heat to low and continue cooking while constantly stirring until the cream separates into coconut oil and latik. Remove from heat as soon as the crumbs turn a deep caramel brown color. Separate the oil from the latik. You can use the coconut oil for other purposes. TO MAKE LATIK SAUCE: Combine all ingredients in a saucepan and bring to a boil over medium heat. Lower heat and continue cooking while stirring frequently until a thick caramel is formed. Filipino Cheese Bread – deliciously soft and cheesy! Thank you for your recipes. I am so glad I found your site. As a fellow capampangan I can relate so well to missing these types of food from home!! So easy to follow and taste so good. Thanks Mary and we are glad you like the recipes. Thanks Imee! Happy cooking to you too!